What a great weekend! James came down again :) and we went to Kentucky Kingdom with my best friend on Saturday. 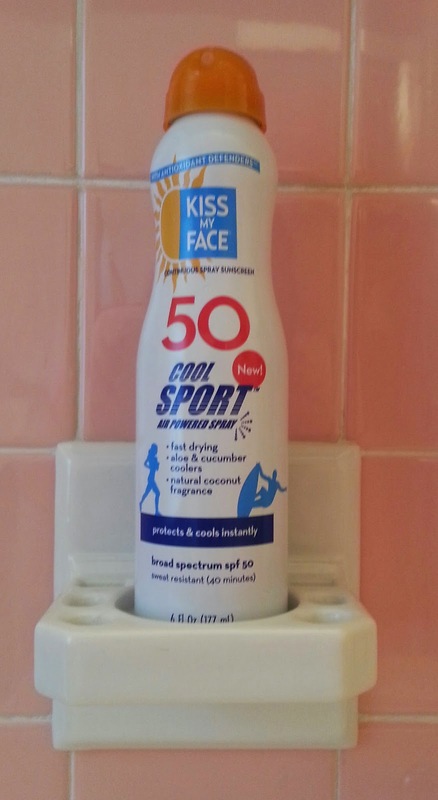 The day prior I received my full size sample of Kiss My Face's new air powered sunscreen (great timing!) which I definitely tested for the amusement park. Broad spectrum UVA/UVB protection & water resistant (up to 40 mins). Natural coconut scent - not a heavy artificial scent. No parabens, artificial ingredients, animal ingredients or testing, or chemical propellants. Sunscreen sprays out clear & dries quickly. I applied the sunscreen before I left the house - evenly sprayed/coated my arms, legs, and tops of my feet. My arms, legs, and feet did not sunburn though other parts (which I forgot to spray) did. I was pleased with the coconut scent of the spray - light and natural - and it faded after a bit which is fine with me. The spray was light and airy - good coverage and not sticky. Definitely a repurchase when I run out!